6 Clips Of Audio You Should Hear From The Planned Parenthood Hearing : The Two-Way The congressional hearing was oftentimes contentious with the head of Planned Parenthood defending her organization and explaining that it does not receive federal money for most abortions. Cecile Richards, president of Planned Parenthood Federation of America, testifies Tuesday during a House Oversight and Government Reform Committee hearing on Capitol Hill. 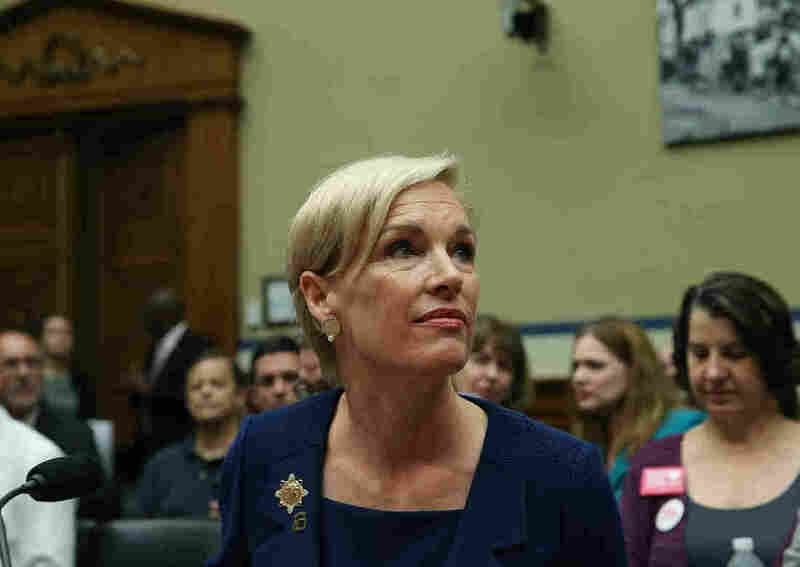 For the first time since surreptitious videos put Planned Parenthood in the spotlight again, the organization's president, Cecile Richards, faced the House Committee on Oversight and Government Reform. The more than five-hour hearing was oftentimes contentious. Richards defended her organization on several fronts. She said the videos released by the anti-abortion group Center for Medical Progress were misleading and she said her organization does not receive federal funding for most abortions. Republican lawmakers for their part questioned why Planned Parenthood should continue to receive federal funding if many Americans don't agree with abortions. With that, here are five audio clips that will give you a sense of the hearing. 5. Rep. Brenda Lawrence had the most impassioned soliloquy of the hearing. She began by pointing out that the men asking questions had no sensitivity to understand "what a woman goes through with her health care." An earlier version of this post misidentified the lawmaker speaking in the sixth audio clip. It was Rep. Paul Gosar, a Republican from Arizona, speaking, not Rep. Scott DesJarlais.